Luckily rosacea is something that I have no personal experience of - members of my family seem to have been given psoriasis and eczema in the dermatological lucky dip of life! However, I do understand how distressing it is to have to live with a skin condition of any kind, let alone one that is characterised by persistent redness or flushing on the face and neck. Indeed, recent research shows that more than four out of 10 people with rosacea have received rude comments and stares due to the condition and almost as many have refused or cancelled social engagements because they were embarrassed about the way they looked. 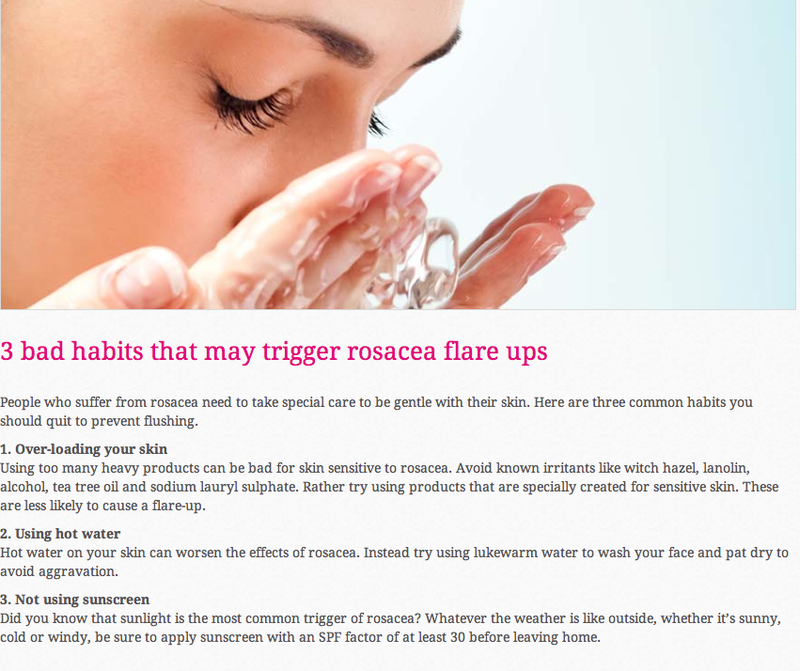 Now a new website, Rosacea Uncovered, has been launched by Dermalex, a company that makes skincare treatments. Obviously Dermalex have a vested interest in getting visitors to this website, but I’ve checked it out and it looks full of helpful advice and information.